Rafale promises a fiery start to 2019. Like Bofors, it may fire the guns for India, but its blows are yet to be seen. The unbridled corruption in defence procurement has always had an impact on Indian elections. The fractured hearing of the Rafale case, held in multiple phases by the Supreme Court and a delayed judgement, boosted the Congress's success in Assembly Elections. The 29-page judgment, delivered after the election results is crisp, however, the filing of a clarification application by the centre has raised more questions about the judgment. As is evident, the apex court while not finding a prima facie case has also not given a clean chit. The judgment discussed all the issues under three heads -- decision-making process, pricing and offsets. However, it began with noting the limited scope the Supreme Court has while examining defence contracts. 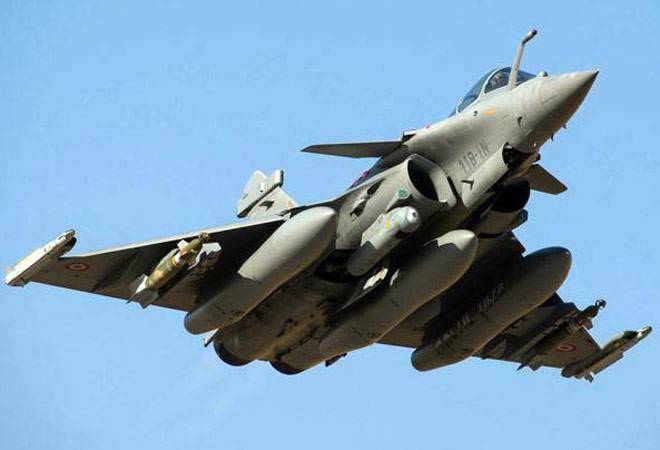 It is only due to this limited scope, imposed upon itself by the Supreme Court that a bunch of petitions on Rafale deal were dismissed. Many are claiming that the Court should have exercised a broader jurisdiction and directed for an SIT investigation as it did in the 2G and Coal Block allocation cases. It is being said that at the initial stage, only a prima facie case has to be shown, and the details can be uncovered in the detailed enquiry. Importantly, the apex court has said that its hands are tied under Article 32, which deals only with respect to a violation of fundamental rights. If the matter comes again to the courts through a route prescribed in the Code of Criminal Procedure, a different view is quite possible. Another aspect of the judgment, which may now require enquiry in its own self, is the CAG report. Paragraph 25 of the judgment reads, "The pricing details have, however, been shared with the Comptroller and Auditor General (CAG), and the report of the CAG has been examined by the Public Accounts Committee (PAC). Only a redacted portion of the report was placed before the Parliament, and is in public domain." The problem is that no such report is available in the public domain and the same was refuted by PAC Chairman Mallikarjun Kharge. There is a difference of opinion among PAC members about calling forth the Attorney General and the CAG to elucidate on this matter. In light of this, the question remains whether the Supreme Court was misled on key facts of the case? Regarding the decision-making process, the apex court has held that the deal came under scrutiny, only after an interview of the former French President, Francois Hollande. Qua pricing, court has relied on the government, and has said that it is not its job to do a comparative pricing. With respect to Indian Offset Partner, the apex court held that it is a commercial decision, in which the Indian Government has no role. Interestingly, it has been a happy week for Anil Ambani as his company's deal with Jio is also expected to get an all clear from the Department of Telecom. The government is ready for a debate in the Parliament, but can there be a meaningful debate bereft of all facts? There exist precedents of establishing a Joint Parliamentary Committees on defence matters such as Bofors and Augusta Westland. Other notable matters looked into by JPCs include Harshad Mehta, Ketan Parekh, pesticides in soft drinks and 2G. Ordering a JPC is outside the domain of the Supreme Court. A JPC can get evidence of oral and written evidence suo motu or on a specific request. A public interest litigation has three stakeholders -- the judges, the petitioner(s) and the cause of public interest. PIL as a jurisprudence is heavily dependent on the judges hearing it. The press conference of the four judges included roster for PIL as one of the grievances. The ministers in the government have called out encroachment of Parliament's domain by the Supreme Court, wherein it tries to govern the country through PILs. Often is the case that select persons raise a number of causes before the apex court, for which often they are fined with costs. In such a situation, the petitioner is unable to assist the court fully as multiple causes lie in front of him. It would be immature to say that Rafale is out from the Indian politics. The government's application will be heard only after the Christmas vacation and the apex court may review or reverse the finding in the process of clarification. Rafale promises a fiery start to 2019. Like Bofors, it may fire the guns for India, but its blows are yet to be seen.